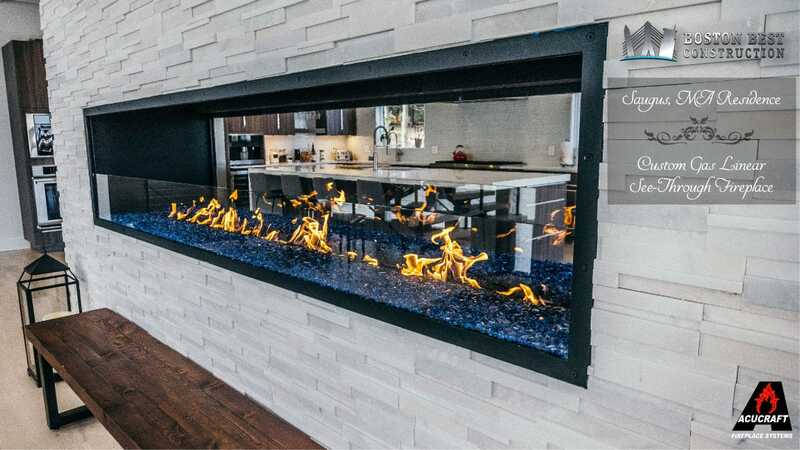 Eduardo Muniz, General Contractor for Boston Best Construction came to Acucraft looking for a custom gas linear fireplace for his single family home. 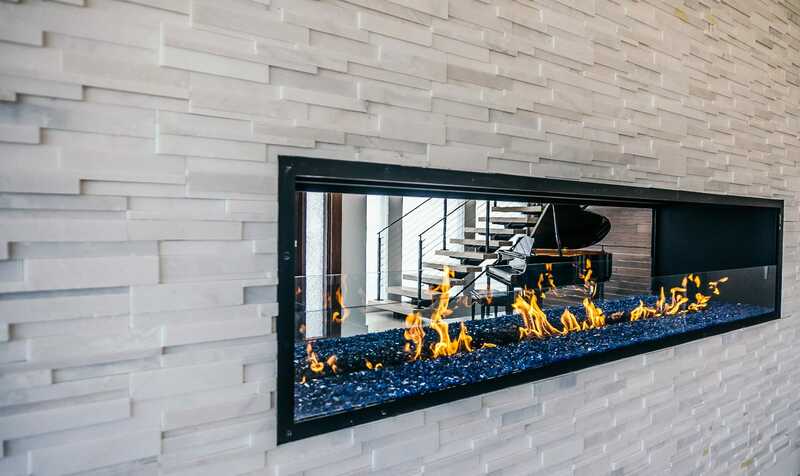 He had planned a feature wall on the center of the kitchen, living room and dining room where they wanted a show-stopping see-through linear fireplace that was 7ft wide with a minimum height of 2ft that had to fit between two load bearing columns. Mike, one of our Fireplace Advisors worked directly with Eduardo to further define his design and structural needs for this custom linear see through gas linear fireplace. 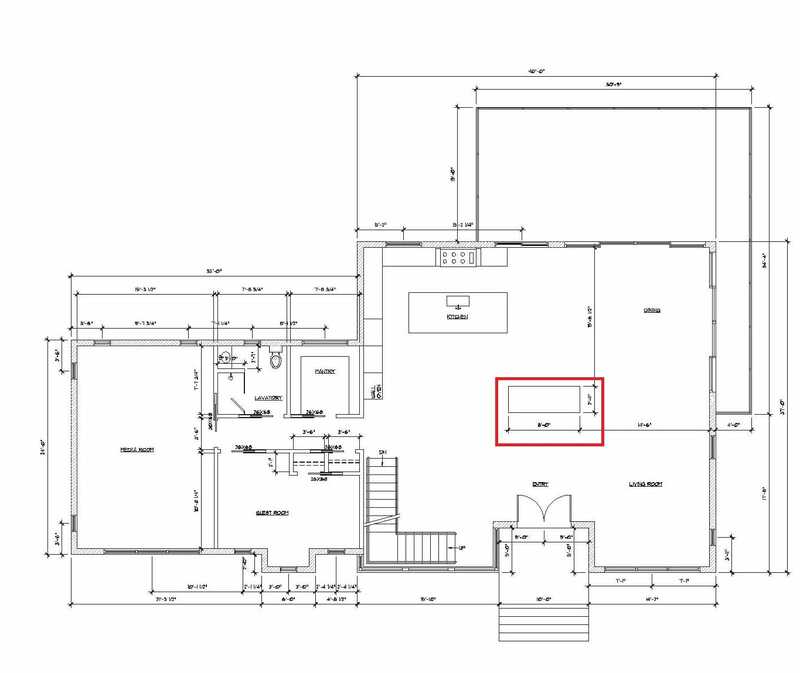 Originally Eduardo was looking for a peninsula style fireplace for his space; however, given the columns he had to maintain due to structural support, he decided on a see through two-sided gas linear fireplace. Upon placing his order, Eduardo worked hand-in-hand with one of our Fireplace Designers, Robin to ensure all of his fireplace design needs for aesthetic and functionality were met. 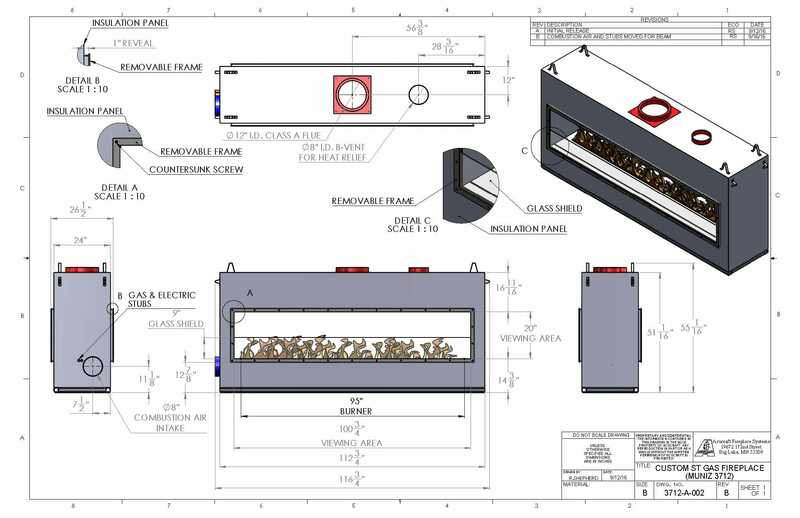 Our team provided him with a full submittal for his project including: final fireplace drawings, component illustration, and a custom manual. 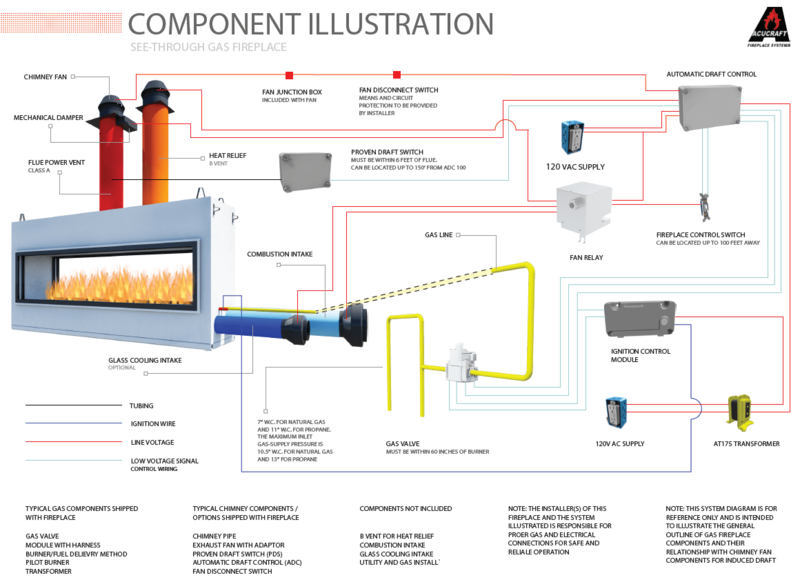 Every Acucraft custom gas fireplace project receives a submittal capturing your project details in their entirety for review prior to hitting our production floor. It was a pleasure working with Eduardo and Boston Best Construction; we look forward to future opportunities!